Two El Al flights from New York City to Israel late Thursday — following a brief but messy snowstorm that paralyzed the city — departed JFK airport after a five hour delay. Dozens of passengers ended up spending their Shabbat in Athens; others landed in Israel long after the start of the holy Sabbath. Neither flight arrived happy. The airline said in a statement Friday that “extreme weather in New York is causing cancellations and delays in hundreds of flight, including El Al flights that left Israel last night. Due to the delays… the company is forced to land Flight 002 in Athens and Flight 008 in Rome. The flight crew arrived hours late due to snow-related problems with the bus and the traffic on the way to the airport — problems that caused delays throughout the city, reported on local media. Nevertheless, passengers noted that all of them had had similar warnings and each had managed to arrive on time; how was it that flight crew were unable to make the same arrangements? Flight LY 008 ultimately was redirected to Rome, where it was scheduled to land at 3:00 pm in order to avoid desecrating the Sabbath. 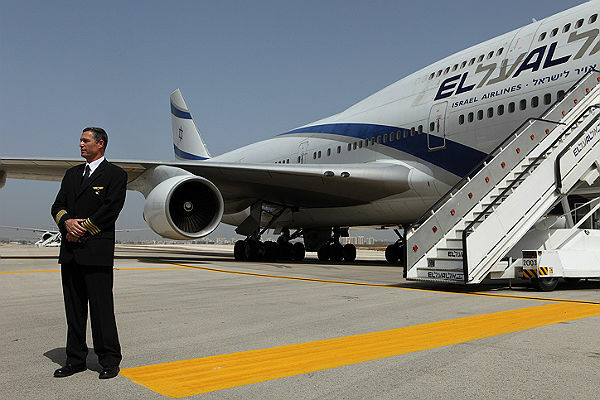 But in the end, that did not happen due to a medical emergency aboard the aircraft; Israel’s Chief Sephardi Rabbi in concert with the medical officer and CEO of El Al decided together to permit the flight to continue on to Tel Aviv instead, despite the probability the plane would arrive after the start of the holy Sabbath. 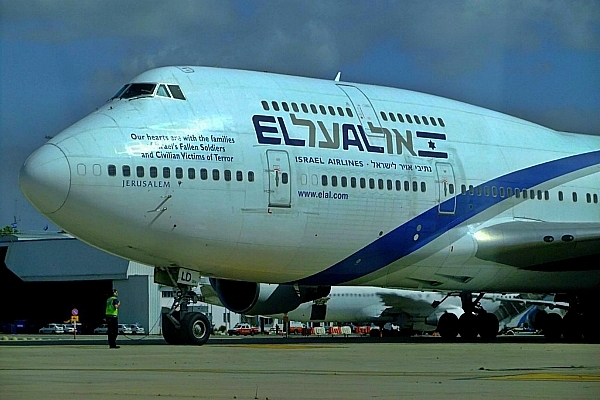 An ambulance met the aircraft on the tarmac at Ben Gurion International Airport. Flight LY 002, however, was a different story that at least one passenger has described as an experience that felt a bit like a hijacking. It’s unlikely anyone would have known the truth about what happened, had there not been so many observant Jewish journalists aboard. As it happens, the captain of the flight probably had no idea those journalists were among the passengers when he ignored requests from observant Jewish passengers to be allowed to disembark when it became clear on Friday the flight would not reach Israel in time to avoid desecrating the holy Sabbath. That was the start of a nightmare that lasted for the entire flight, according to a Facebook post by Israel Hayom journalist Yehuda Shlezinger, Times of Israel blogger Betsalel Steinhart (also the Education Director of Ramah Israel) and former National Union Knesset Member Yaakov ‘Ketzaleh’ Katz, group chairman for Arutz Sheva — all of whom have written or spoken to media about the flight. Worse, reassurances by the captain himself at the start of the flight — that it would take off shortly, that it would land before Shabbat, and then when it became clear that was not the case, that the plane was returning to the gate — were also lies. During the flight itself, Shlezinger documented flight attendants who decided to punish hareidi passengers — who were understandably upset at being trapped on the flight — by refusing to continue service, and a male flight attendant who was violent and grabbed his camera — but when learning he had attacked a journalist, rapidly apologized and dialled back his behavior. Two hours prior to landing, the captain announced that the religious passengers would disembark in Athens, and secular passengers would continue on to Tel Aviv. No choice was given. More anxiety and outrage ensued among the passengers. Those who did indeed disembark in Athens were met by an El Al representative who guided them through to the hotel across the street from the airport and through the chaos, according to a first-person report on COLLive. 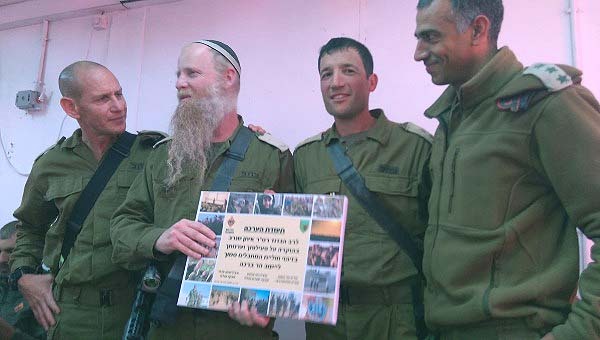 They had everything they needed for a perfect Shabbat meal, thanks to Chabad-Lubavitch emissaries Rabbi Mendel and Rebbetzin Nechama Hendel.